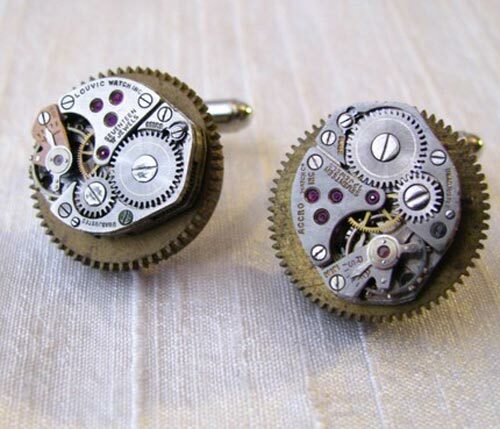 Check out these geeky Steampunk watch cufflinks. 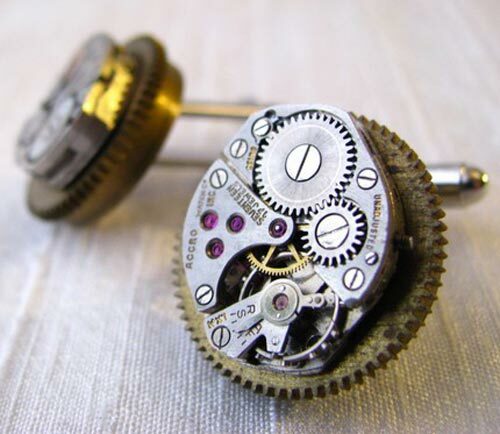 Real vintage watchworks mounted on brass clock gears, and then on silverplate cufflink findings. They don’t tick anymore, but they are still really cute and stylish! The cufflinks are a “close” perfect match, similar enough in looks to have a nice appearance. This set has really lovely, bright rubies in it. These cufflinks are really cool I think I may have to get a pair, they are handmade made by Rivkasmom and avare available to buy online for $55 a set from Etsy.